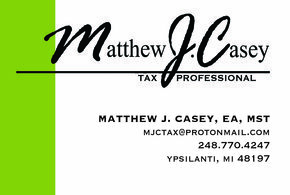 Ypsilanti, MI based Local, State and National News & Views. 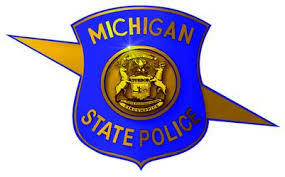 Gov Whitmere declares state of emergency in Michigan: Message from Michigan State Police regarding bitter Temperatures. Editor & Publisher Jeff Brown. The following is a message sent from the Michigan State Police and recieved by Purple Walrus Press at 12:30 pm Wednesday afternoon. Here is the complete message. Apologies for the small print. "With the winter of 2019 wearing on with increasingly frigid temperatures, State Fire Marshal Kevin Sehlmeyer today urges fire safety for all Michiganders, especially the elderly who are most at risk when it comes to fire. Of the 104 fatal fires in Michigan in 2018, 60 percent of the fires started in a bedroom or living room. Many of the fatal fires in 2018 involved space heaters, wood stoves, fireplaces and overloaded electric wiring. Due to the rise in fire deaths in 2018 and the fact that last January was one of the deadliest months for fatal fires, the fire marshal requests that Michiganders think about ways to prevent fires and implement control methods in their home. Sehlmeyer said that non-working or missing smoke alarms was a common reason many people did not receive early warning or delayed their escape efforts during 104 fatal residential fires in Michigan in 2018. According to the U.S. Fire Administration, adults over age 65 are more than twice as likely to die in fires. Seniors over age 85 are more than four times as likely to die in a fire. Older adults are at higher risk because their ability to respond to or escape a fire is often slower due to physical limitations. Clear snow away from all exterior doors so you can get out fast in the event of an emergency. Whether living in a single-family dwelling, apartment, or mobile home, make sure it has multiple smoke alarms. This includes smoke alarms in each sleeping area and one on each level of your home. Interconnect smoke alarms when possible, so when one alarm sounds, all the smoke alarms sound. Make sure every smoke alarm is tested monthly. Replace 9-volt batteries in smoke alarms at least once per year. Never remove or disable smoke alarms. Close bedroom doors when you sleep to separate yourself from fire, heat and toxic smoke. Make sure kids and the elderly in your home know the sound of the smoke alarm. Have a home fire escape plan that the entire family has practiced that includes having two ways out of every room as well as a meeting place outside the house. Also make sure that you can open and get out of windows and doors. Call 9-1-1 AFTER you exit your home, if your smoke alarm(s) or carbon monoxide (CO) alarm(s) are sounding. Install carbon monoxide (CO) alarms in your home to alert you of high levels of CO.
Never use the range or oven as a source to heat for your home. The oven not only is a potential fire hazard, it can become a source of high levels of carbon monoxide. Never use an extension cord with a space heater. If you buy a space heater, make sure it has an automatic shut-off switch. Never use an electric space heater in a bathroom or other areas where it may come in contact with water. Keep kids and pets three feet away from space heaters and turn them off when leaving a room or going to bed. Keep furniture, blankets and other household objects at least three feet away from a space heater. Carefully follow the manufacturer’s instructions or have a professional install wood burning stoves. All fuel-burning equipment must be vented to the outside to avoid a build-up of carbon monoxide (CO) inside the home. If you smell natural gas or propane near your furnace or your gas heater, do not try to light the appliance. Leave the home immediately, call 9-1-1 and request the fire department and/or gas company respond to your home. If using a space heater that requires kerosene or propane, always use the correct fuel specified by the manufacturer and take the heater outside of the home to re-fuel or change tanks. Make sure the fireplace and wood stove have a sturdy screen to stop sparks and embers from flying into the room. Keep home furnishings, blankets and other objects at least three feet away from fireplaces, and wood burning stoves." The SEOC is the emergency operations center for the state of Michigan. Located in Dimondale, the SEOC is overseen by the Michigan State Police, Emergency Management and Homeland Security Division and coordinates response and recovery efforts by state agencies and local government. The SEOC is staffed by members of state agencies for decision making and information coordination during disasters or emergencies in the state of Michigan. Information on winter warming centers for those experiencing homelessness in Washtenaw County. Washtenaw County is providing safe, warm spaces for individuals experiencing homelessness during severe winter weather, according to the Shelter Association of Washtenaw County. Jointly funded by the City of Ann Arbor, Washtenaw County and the Shelter Association of Washtenaw County, the 2018/2019 winter weather response has been in place since November, but snow and colder temperatures this week will activate daytime winter havens as well. This according to the Shelter Association of Washtenaw County. PLEASE NOTE: Transportation options for homeless individuals who lack transportation to the overnight warming center is also being provided, 734-662-2829 ext 238. Please contact the Delonis Center at 734-662-2829 if you have any questions or need more information. 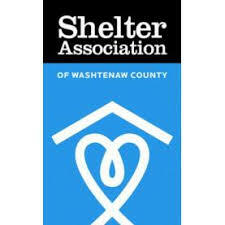 This according to Shelter Association of Washtenaw County. Weekend daytime shelter is available at the Delonis Center from 8AM-7PM. Please contact the Delonis Center for the specific times of each congregation at 734-662-2829. According to a statement from the Shelter Association, when the weather is below 20 degrees, additional locations are available during the day to provide some refuge from the cold. The updated list is available here. The Delonis Center (312 W Huron Street, Ann Arbor, MI 48103) offers an overnight warming center for those experiencing homelessness. Shelter is available beginning at 6:30 pm every night between November 12, 2018 and April 1, 2019. 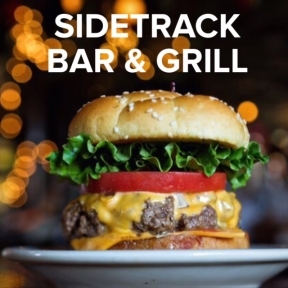 There is also onsite dinner provided at 5 pm. For access to the overnight shelter, each client must call Housing Access of Washtenaw County (HAWC) and obtain a referral to the Delonis Center. More information is available by calling HAWC at (734) 961-1999 or visiting www.housingaccess.net. If you are seeking shelter after 5 pm, there will be onsite assistance provided at the Delonis Center. § In-person HAWC screeners will be available Monday through Friday 6:00pm-10:00pm (until January 30, 2019). § There will be no screeners on weekends or major holidays. § The Delonis Center is open 8:30am-5:00pm Monday, Wednesday & Friday and 8:30am-7:00pm Tuesday and Thursday. The Delonis Center has developed a transportation option in response to an unsheltered emergency after 5pm (Monday-Friday) and on weekends. This additional winter response is for homeless individuals who lack transportation to the overnight warming center at the Delonis Center in Ann Arbor. Congresswoman Dingell has renewed calls for comprehensive study of Enbridge Line 5. According to a press release received by Purple Walrus Press January 25, Congresswoman Debbie Dingell (MI-12) reintroduced the Preserve Our Lakes and Keep our Environment Safe (LAKES) Act, which starts a comprehensive year-long economic and environmental study of Enbridge’s Line 5 oil and natural gas pipeline under the Straits of Mackinac, and would require the pipeline’s permits be terminated if significant risks are revealed. You can read the text of the bill here. 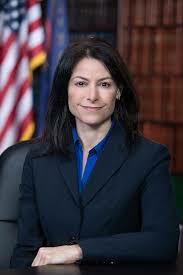 According To The Office Of Michigan Attorney General Dana Nessel, Michigan Withdraws From Clean Air Act Cases. According to a January 22 media release received by Purple Walrus Press from the Michigan Attorney Generals office, Michigan Attorney General Dana Nessel has filed motions to withdraw from four federal lawsuits against the Environmental Protection Agency (EPA), originally filed by her predecessor. West Virginia, et al v EPA, et al, (Case No. 15-1363) challenges the Clean Power Plan rules governing greenhouse gas emissions from existing power plants. American Petroleum Institute v EPA (Case No. 13-1108) challenges the rules governing the emission of methane from oil and gas operations. Congressman Elijah Cummings Statement On Efforts To End The Government Shutdown. By Editor & Publisher Jeff Brown. United Way of Washtenaw County provides $3,000 in grant funding to Eastern Michigan University's Family Empowerment Program. According to a press release from UWWC, in response to home fires that left families homeless at Hamilton Crossing, United Way of Washtenaw County awarded Eastern Michigan University a $3,000 grant to subsidize the cost of renter’s insurance for Hamilton Crossing residents. This grant will provide renter’s insurance to families to protect their personal property in the event of a fire, theft or natural disaster. “United Way providing the grant will allow several families to have options in the event that something happens causing them to be displaced,” says Marquan Jackson, Director of the Ypsilanti Housing Commission and United Way Board Member. According to United Way of Washtenaw County, The Family Empowerment Program (FEP) is the largest service providing organization for Ypsilanti Housing Commission (YHC) families. The FEP fosters self-sufficiency for YHC residents by both serving as an access point for key community resources and providing a fixed rent cost not to exceed 30% of their income. A fixed rent in a safe community with on-site social services allows residents to experience upward mobility. “In Washtenaw County, the Red Cross responds to more home fires than any other type of disaster. This data is constant year to year,” stated Bridget Healy, Director of Community Impact. “This responsive grant to the FEP ensures families are not homeless after house fires and are protected in the event of an emergency.” As state in the media release. According to United Way, "Reducing the rate of homeless individuals and families is one of our goals and it is being achieved with our strategies of supporting the prevention of housing and homelessness. The best way to fight homelessness in our community is to prevent people from becoming homeless in the first place." As part of our 98-year history, United Way of Washtenaw County brings people, organizations, and resources together to create a thriving community for everyone. We focus on Health, Education and Financial Stability, the building blocks for a good quality of life, to strengthen the community and create opportunities for individuals and families. Our Volunteer Center provides an easy online way for people to connect with nonprofits and our 2-1-1 helpline refers more than 8,000 people annually to critically needed services. To learn more, donate, or volunteer, visit uwgive.org. In a press release issued by the NTEU (National Treasury Employees Union) Monday evening January 7, the National Treasury Employees Union has stated that they filed a lawsuit Monday, January 7, alleging that the administration has violated the Fair Labor Standards Act by making it a requirement that federal employees work without being paid during the government shutdown. According to the press release from NTEU, the complaint has been filed in the U.S. Court of Federal Claims on behalf of a Customs and Border Protection Officer named Albert Vieria who is stationed at the southern border. According to NTEU, Vieria is one of the thousands of federal workers required to work without pay. According to NTEU National President Tony Reardon, "It is unconscionable that many employees are having to work-and in some cases overtime-with no pay whatsoever." The National Federation of Federal Employees to hold rally with Labor to End the Shutdown On Thursday Jan 10 at White House. 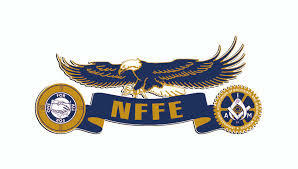 The National Federation of Federal Employees (NFFE) is co-chairing and organizing a federal employee workers rally that will take place on Thursday, January 10 at the White House. The rally will protest the government shutdown that has furloughed hundreds of thousands of financially suffering federal employees and has forced thousands more federal workers, also hurting financially, to work without pay. This according to a January 7 press release from the NFFE. According to the NFFE, the demonstration will start at noon at the AFL-CIO headquarters at 815 16th Street NW Washington D.C. There will be a march to the White House following keynote speakers. Parola Perspective In Brief: On Democrats: Messenger Must Be Charismatic and Compelling. By Purple Walrus Press contributor Brooks Parola formerly of Flint. There's no doubt in my mind that part of the reason Hillary lost was because she was judged much more harshly than her male counterparts. 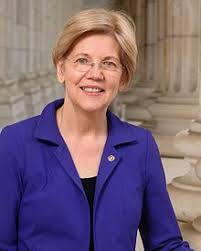 There's no doubt in my mind that the same double standard exists with Warren. IT'S MORE THAN THE MESSAGE FOLKS! THE MESSENGER MUST BE CHARISMATIC AND COMPELLING AS WELL! I love everything about Elizabeth Warren's message; the way she dealt with the whole DNA thing however, makes me feel like Trump would have her for lunch! Happy New Year from Flint Water Crisis Activist Melissa Mays: 2018 Was Tough. Contributed to Purple Walrus Press by Melissa Mays of Flint. 2018 was tough. We in Flint fought, we loved; we won, we lost; we laughed, we cried; most importantly we learned & we stood strong. May 2019 bring you all a new chapter, fresh starts and more of the same good stuff!! 😁 Happy New Year!! Copyright © Purple Walrus Press 2016. Simple theme. Powered by Blogger.